Village of Wappingers Falls Municipal Parking Lot – KC Engineering and Land Surveying, P.C. 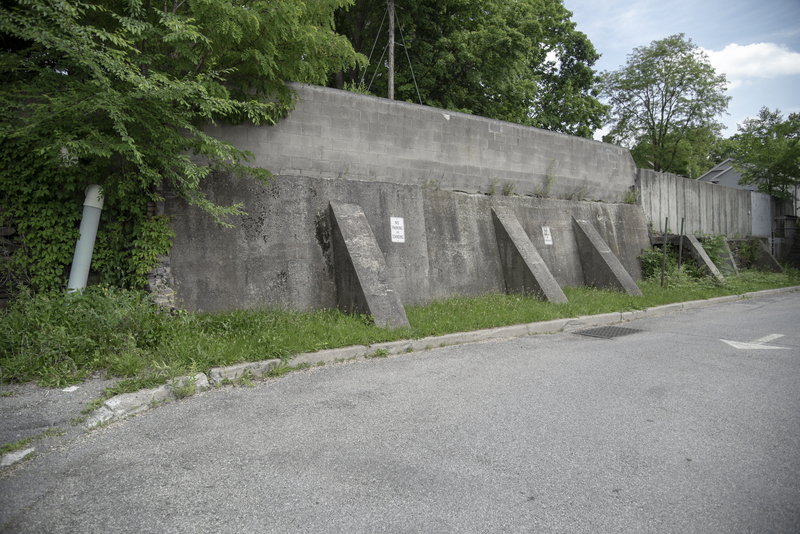 The Mill Street Parking Lot has 2 retaining walls, totaling approximately 186 linear feet, of various heights and construction running along the south and east boundary of the property. The east retaining wall height varies from 10′ to 14′ in height with a 2′ to 4′ curb reveal. The south retaining wall is approximately 5’ in height and ends at grade. The scope of the retaining wall services completed for this site included the inspection and evaluation of the existing retaining walls and parking area above as well as preliminary design and estimating for the repair and replacement of various sections of the wall. Specifications of recommended materials and procedures for the repair to the wall and stairs were provided.